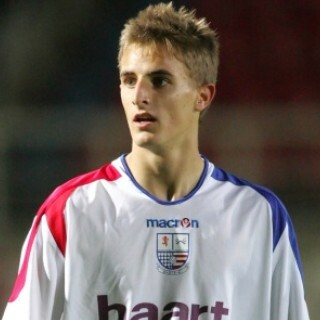 Lee Hales joined Diamonds on 13 November 2007, on a two month loan deal from West Ham United. He had featured in both Hammer’s youth and reserve squad that season was tipped to be a hot prospect for the future at Upton Park. He was also the son of Diamonds coach Kevin Hales. The eighteen-year old midfielder joined the Diamonds having played for England at both Under 16 and Under 17 level and went straight into the side to face Cogenhoe United in the County Cup competition. Lee returned to West Ham on 8th February 2008 after his initial loan was extended up until that date, having made twelve appearances and scoring in the FA Trophy fixture against Exeter City. He was released by West Ham in May 2008. 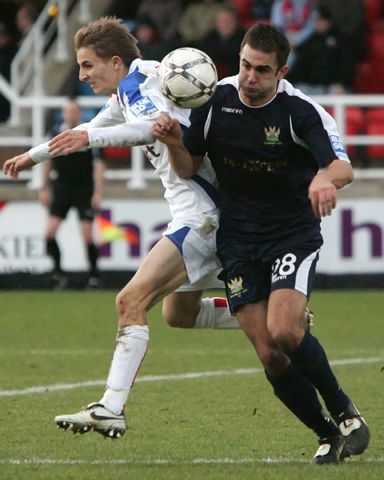 Lee went on to play for a number of local sides in Kent, and initially joined Kent League Premier side Erith & Belvedere in 2009, before moving to Sevenoaks Town. After winning the player of the season award in 2010/ 2011, he made a step back up to join Isthmian Division One North side Chatham Town in August 2011. After staying for three seasons he rejoined Erith & Belvedere for a while, but has not been seen in recent team lineups.